Bernard is a regular contributor to the World Economic Forum and writes weekly columns for Forbes, Huffington Post and LinkedIn where his articles are read by millions. Bernard is a major social media influencer with 1.2 million followers on LinkedIn, the world’s leading professional network, as well as a strong presence on Twitter, Facebook and SlideShare. 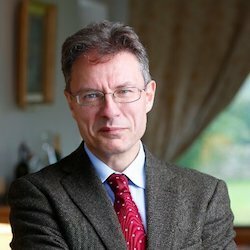 Luciano Floridi, University of Oxford Luciano Floridi is Professor of Philosophy and Ethics of Information at the University of Oxford, where he directs the Digital Ethics Lab of the Oxford Internet Institute, and is Professorial Fellow of Exeter College. 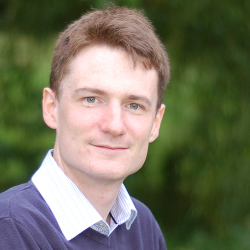 He is also Turing Fellow and Chair of the Data Ethics Group of the Alan Turing Institute. His areas of expertise include digital ethics, the philosophy of information, and the philosophy of technology. Among his recent books, all published by Oxford University Press (OUP): The Fourth Revolution – How the infosphere is reshaping human reality (2014), winner of the J. Ong Award; The Ethics of Information (2013); The Philosophy of Information (2011). His most recent book, The Logic of Information, will be published by OUP in 2019. As AI continues to disrupt industry, the need ensure trust in intelligent systems becomes a priority. To achieve trust, systems have to be engineered from ground up to comply with ethical and societal standards that vary in different cultures. Cornerstones of achieving trust are transparency and responsible design of automation tools, as well as respect for privacy. These requirements do not always align well with the economic exploitation of the rapid advances in technology. However, for sustained success, it is imperative to incorporate design principles addressing these issues into AI systems. Governments and the European Commission have recently published guidelines and frameworks for AI ahead of possible regulation of AI. The talk discussed these requirements in the light of current AI technology, both from a business and research perspective. The question of ethical alignment and responsible design occur at every level of system design and engineering, as well as at and after deployment. The talk introduces concepts and dives deeper into some possible technical solutions at an abstract level. Hence, the talk will be valuable for beginners and specialists alike. Bertie holds a PhD in Computer Science from the University of Hamburg, Germany. Before moving to Wales, he worked in the Computer Science Department at Durham University. Throughout his academic career he has collaborated with industrial partners. He has over 75 publications, many in highly-acclaimed international journals and conference proceedings. Emphasis in his current work is on the ethics of AI and making AI work for humanity. AI For Good' - Fact Or Fiction? AI no longer belongs to the realm of science fiction. From voice recognition to self-driving cars and medical diagnosis, artificial intelligence is weaving its way into our lives at work and at home: so it’s safe to assume that AI, the product of decades of scientific research, will have an impact on the realm of scientific research itself. The maturation of AI technologies is the prelude to an unforeseen step change in humankind’s ability to understand and innovate. Yet big data and search companies’ utilization of AI is helping to usher in what has been called the “post-truth” era. If AI is currently struggling to discern facts from fiction, could it be that human intelligence is still a necessary component for the continued successful integration of AI? The Digital Age created a new class of citizen scientists: people from every walk of life with a passion for knowledge. In the coming Age of AI, we can give those citizen scientists unfettered access to relevant scientific research and powerful new machine learning tools. But AI is only as as accurate as the information on which it is trained: and information gleaned solely through data scraping algorithms isn’t necessarily accurate. Moreover, in the publishing industry, existing academic literature is our biggest and richest dataset for training scholarly recommendation algorithms, but also suffers from bias towards fields and populations that historically have had more academic interest. Weighing the veracity of different perspectives requires the kind of critical thinking that humans possess. Beyond tagging and user feedback, valuable human expertise is necessary to steer and sanity check AI – a technology still very much in the infancy stage of its development. Leveraging human expertise to train AI can increase the pace of democratisation of science by disrupting the way current research and development is performed and communicated. AI can – and should – be used to support the growing movements towards open data, open publishing, and open science. Only by blending AI’s ability to quickly process vast quantities of data with the ability of humans to understand nuance and context can we ensure facts remain facts in this post-truth era. 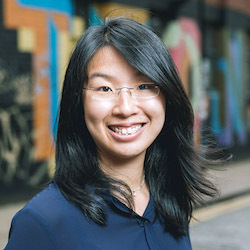 Dr Sybil Wong is COO at Sparrho, an online platform used in 150+ countries that combines machine learning and human expertise to democratise scientific knowledge. Sybil completed her PhD in Biochemistry at the University of Nottingham and Barts Cancer Institute, QMUL. Prior to joining Sparrho, Sybil was SVP Business Development & Director of OneStart, the world’s largest biotech and healthcare startup accelerator, at the Oxbridge Biotech Roundtable. Through OneStart, Sybil supported 70 budding biotech and healthcare startups from across Europe, North America and Asia, and managed partnerships with top pharma and venture firms, including SR One/GSK, Roche, Johnson & Johnson, and AstraZeneca/MedImmune. Over the coming months, we will begin to see a significant increase in the amount of media velocity around the topic of AI + AR, specifically computer vision enhanced experiences. This session, based on proprietary research, outlines the rapidly approaching evolution of experience through technology that empowers, intelligent systems that enhance and the convergence of physical and digital heading towards synthetic reality. – Attendees will see how technology has evolved during the life of Gen Z. – A look at how technology that empowers consumers such as camera as a platform, is changing how we interface and interact with technology. – We will explore intelligent systems from conversational experiences, machine and deep learning and the topic of intelligence augmentation. – An overview of computer vision and the role of location data + augmented reality on redefining the world through the lens of Gen Z. – Implications for marketers to consider as we evolve from consumer-centric marketing to system based marketing through algorithms. 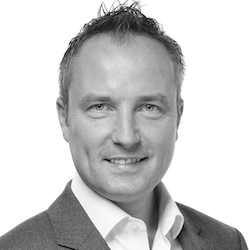 Tom Edwards is the Chief Digital & Innovation Officer, Agency, at Epsilon. For the past 18 years, Tom has focused on the intersection of emerging technology and its impact on consumer behavior and how to bring “Innovation to Reality(TM)”. Tom was recently recognized by Advertising Age as a 2017 Marketing Technology Trailblazer. Tom regularly provides thought leadership and commentary on business and advertising publications (Forbes, CNBC, VentureBeat, AdAge, Advertising Week, Mashable) in addition to speaking regularly as a futurist, including TEDx, Ad Age Data, Mobile World Congress and more on the topics of data design, artificial intelligence and the evolution of consumer experience through intelligent systems. Your soggy, on-board 3 pound glucose-driven computer is no match for the increasingly powerful deep learning systems that can consume and rationalize with blinding speed the ridiculous amounts of data we are creating. 90% of the information that exists in the world today has been created in the last two years. As the ongoing evolution of sensors and actuators drives the ever-expanding Internet of Things, a tremendous range of devices will be contributing information captured from your clothing, your car and your appliances – just to name a few sources. No human can possibly parse or rationalize this deluge. But we can consider ourselves very lucky because AI and machine learning tools can help us make sense of the information tsunami. Smart companies will certainly exploit the power of the new generation of AI and machine learning tools to generate attributable revenue. But advanced deep learning AI instances will also give humans the power to address what have historically been intractable social and cultural problems. Chris Bishop will speak about how we can do both by smartly partnering with algorithms, bots and machines. Christopher Bishop is passionate about the power of emerging technologies to deliver positive transformation at the intersection of business and culture. He is especially excited about the potential of artificial intelligence and machine learning to provide solutions to problems once considered the realm of science fiction. Chris first became fascinated by AI after being hired by IBM in 1998 just as their seminal supercomputer Deep Blue beat the world chess champion Garry Kasparov. Chris went on to work at Big Blue for fifteen years in a variety of strategy and communications roles, leading social media and virtual worlds adoption. At the end of his tenure, IBM’s AI-driven supercomputer Watson beat the two reigning Jeopardy champions and Chris was part of a team at the IBM Foundation investigating how Watson’s AI could be applied in social and civic settings. For more background on Chris and his perspective on AI, please visit his site – ai guys. After spending her first year with NVIDIA as a Deep Learning Solutions Architect, Alison is now responsible for NVIDIA’s Artificial Intelligence Developer Relations in the EMEA region. She is a mature graduate in Artificial Intelligence combining technical and theoretical computer science with a physics background & over 20 years of experience in international project management, entrepreneurial activities and the internet. She consults on a wide range of AI applications, including planetary defence with NASA, ESA & the SETI Institute and continues to manage the community of AI & Machine Learning researchers around the world, remaining knowledgeable in state of the art across all areas of research. She also travels, advises on & teaches NVIDIA’s GPU Computing platform, around the globe. Artificial Intelligence’s unfulfilled expectation is it’s own worse enemy, and between citizens not understanding what it can do for them, and developers not including them in the process, the technologies are lacking transparency and fairness. All parties need to come together to solve this problem, citizens, regulators, vendors, organisations and entrepreneurs – for AI’s sake and ours. Hugo mixes business strategy, technology and design thinking to drive true transformation. Hugo has 18+ years experience working across agencies, brands and consultancies, and is deeply involved with the startup and VC world. He was formerly Innovation Services Leader for EMEA @IBM, where he lead the Digital Innovation work for IBM’s key clients, across all industries, with a particular focus on Artificial Intelligence and Blockchain. 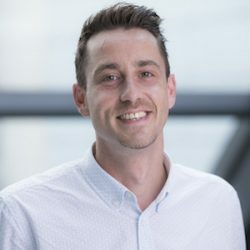 He is currently part of the Accenture Digital leadership team where he brings together Interactive, Analytics and Digital platforms to help the Resources Industries evolve to the next stage of the connected economy. Hugo is especially keen in bringing to life Artificial Intelligence, Blockchain and IoT, as they will digitise the physical world and accelerate innovation, human experience and disruptive business models exponentially. 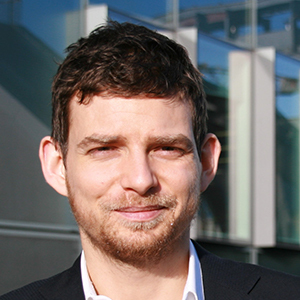 Dr Gareth Conduit has a track record of applying artificial intelligence to solve real-world problems. He has developed novel methods in deep learning to design multiple materials whose properties have been experimentally verified and commercialized. The deep learning phenomenology, originally developed for materials design, is now being commercialized by startup Intellegens in not only materials design, but also infrastructure, drug discovery, and healthcare. 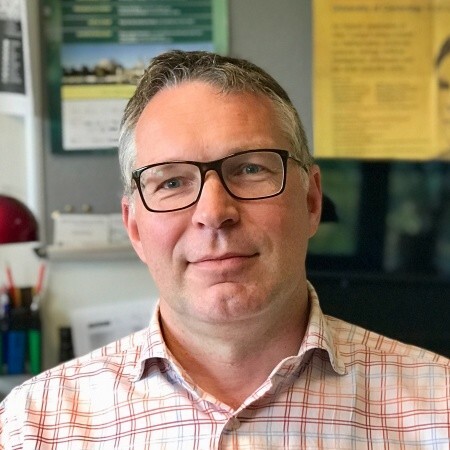 Previously, Gareth had research interests in strongly correlated phenomena, in particular proposing spin spiral state in the itinerant ferromagnet that was later observed in CeFePO. “80-90% of UK businesses that fail do so due to poor cashflow (Office of National Statistics) and over half of SME owners describe late payments as a severe pain point. SMEs spend over 1,300 hours per year chasing payments and cashflow management is the single business activity that finance teams spend most of their time on. Cashflow management is clearly a problem – and one way to solve this is to apply AI techniques to the vast amount of financial data that is now available through bank and accounting APIs. Fluidly is combining machine learning and financial modelling to define a new approach to financial analysis. 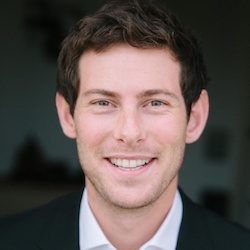 Johnnie Ball is Co-Founder and Chief Data Scientist at Fluidly. Fluidly applies machine learning to transaction data from cloud accounting packages and bank accounts to automate the forecasting, optimization and protection of cashflow. Having spent his early career as an interest rates trader in an major investment bank Johnnie decided to move back to academia to study Computational Statistics and Machine Learning at UCL. From UCL Johnnie held positions as a data scientist at a hedge fund, an energy company and as a cohort member at deep-tech startup accelerator Entrepreneur First. Johnnie is now settled at Fluidly, where he’s bringing together a world class data team to build an intelligent cashflow engine that will save small businesses worry, time and money. Can AI become more human? Is the future going to be built on tailored communication? What will personalization look like in 10-15 years? In this session, Igor will discuss the future of interaction and how it will impact the bottom line for businesses. 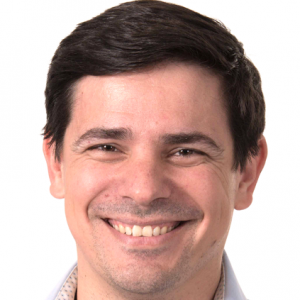 Igor Volzhanin is the CEO and Founder of DataSine, a company that merges psychology, machine learning, and ‘Big Data’ to help institutions better understand their clients. Prior to DataSine, Igor spent many years working in international financial development, with a focus on renewable energy finance. He is on his way to becoming a PhD and has had the pleasure of living in such diverse places as Albania, India and Germany. Igor is passionate about solving complex problems, seeing the world and helping companies create meaningful relationships with their customers. Igor is the CEO of DataSine, which is using machine learning to help companies understand their customers better and personalise content at scale. He founded the company in 2015 after moving to London to undertake a PhD in Psychology and Computer Science at the University of London. Before that Igor spent five years working in international development and lived in New York, Frankfurt, Tirana and New Delhi. A relentless innovator, he is passionate about bringing his research to life and helping companies build meaningful relationships with their customers. Linguistics algorithms in a talent discovery context: applying machine intelligence over large numbers of resumes and job descriptions in real time to identify patterns within the structure and phrasing of language, surfacing relevant people and connecting talent with opportunities at city, country and continent level. The talk will focus on exhibiting embedding of artificial intelligence in existing flows: catering to the talent industry Opening deploys data science at scale, neural networks working in tandem to perform a multitude of business processes faster and with a high degree of accuracy. 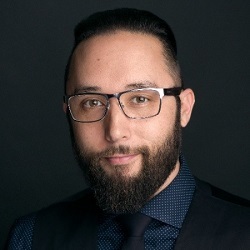 Adrian is the co-founder and CTO of Opening. He was heavily involved in the development processes of entities like Lufthansa, National Geographic, Magnum Photos, WWF and the Rational Group of companies. He is deeply interested in software and hardware architecture, streamlining of user experience, data manipulation, optimisation of content delivery. Adrian founded a national multimedia festival, Dracula PC Party for 5 consecutive years, an event that gathered several thousands of participants in Romania. He is also a programming Olympiad, having won the first place at the Romanian Programming Olympiad. He is an avid fan of the SouthPark TV series, Survivor, snowboarding and a small Irish post-rock band, God is an Astronaut. Leveraging the potential of AI as a force of good. The ethical debate on Artificial Intelligence (AI) as a new form of agency dates to the 1960s. Since then, many of the relevant problems have concerned delegation and responsibility. As AI is used in ever more contexts, from recruitment to health care, understanding which tasks and decisions to entrust (delegate) to AI and how to ascribe responsibility for its performance are pressing ethical problems. At the same time, as AI becomes invisibly ubiquitous, new ethical challenges emerge. The protection of human self-determination is one of the most relevant and must be addressed urgently. In this talk will analyse these problems and considering emerging solutions to harness the potential for good of AI. 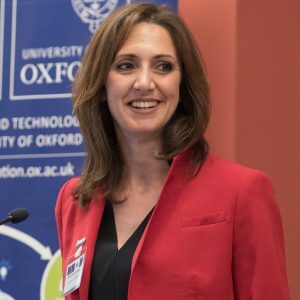 Dr Mariarosaria Taddeo is Research Fellow at the at the Oxford Internet Institute, University of Oxford, where she is the Deputy Director of the Digital Ethics Lab, and is Faculty Fellow at the Alan Turing Institute. Her recent work focuses mainly on the ethical analysis of cyber security practices, cyber conflicts, and ethics of data science. Her area of expertise is Philosophy and Ethics of Information, although she has worked on issues concerning Epistemology, Logic, and Philosophy of AI. Despite the growing application of AI in many aspects of our lives, serious concerns remain about the safety and trustworthiness of current AI technologies. We consider a system to be safe when we can provide strong guarantees about the correctness of its behaviour; we say a system is trusted if the average user has confidence in the system and its decision making. This talk will present recent advances in a new research area that combines data-driven AI and model-based AI to provide safe, trusted and explainable AI. 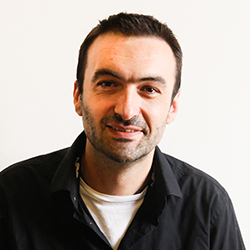 Daniele Magazzeni is leading the Trusted Autonomous Systems Hub at King’s College London. His research is in Explainable AI for safe control of autonomous robots and trustable human-autonomy teaming. He is a frequent tutorial speaker at AI conferences. He is scientific advisor and has collaborations and consultancy projects with a number of companies and organisations. He recently founded the advisory company AIDEAS. Artificial Intelligence is transforming the banking industry at speed and there is little doubt that the future of finance will be heavily impacted by AI technology applications. Almost every company in the financial technology sector has already started using AI to improve customer experience, gain better insights, reduce costs, prevent fraud and launch new business models. The opportunities are endless – but how can banks capture these in the best possible way and deliver on the AI promise? In his presentation, Jesper Nordström – AI Strategy and Innovation Manager at Nordea – will talk about Nordea’s journey to accelerate AI across the organization and how the company is achieving 10x improvements through AI technologies. For example, Nordea Life and Pension has now reduced claims handling times from 50 days to instant payout using a combination of AI technologies to automate the entire process chain. 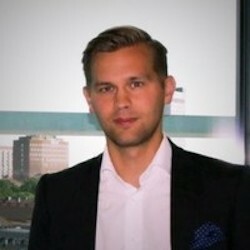 Jesper Nordström is Strategy and Innovation Manager at Nordea’s AI & Machine Learning unit. His mission is to accelerate AI-powered business innovation across Nordea to create the leading intelligent bank. 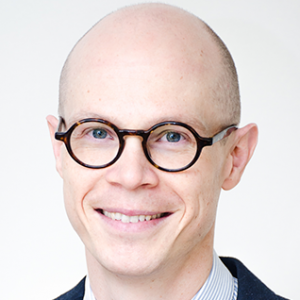 Prior to joining Nordea, Jesper worked as Strategy Consultant within emerging technologies and Digital Innovation Lead. His academic background includes a Master’s Degree in Human Computer Interaction from Royal Institute of Technology in Sweden as well Business Management studies at Stockholm University and Hong Kong University of Science & Technology. A practical look at the a range of AI techniques applied in the finance space (including RPA, Data Analytics, Chatbots and Machine Learning) exploring the challenges with their adoption in the real-world, but also the opportunities that exist for utilising them. The final section will look to the future and predict the trends we will see in the coming years taking in to account topics such as GDPR, Open Banking and the power of Deep Learning. Arif is a Principle Consultant within the Capital Markets practice at Capco, based in London. Arif heads up the Machine Learning Practice under Capco’s research and development team, defining and delivering innovative solutions to our clients that leverage the latest technologies. Prior to leading the ML practice, Arif spent over 10 years gaining hands-on experience of all aspects of transformational change programmes across 3 Tier 1 Investment Banks. Arif has delivered both internal and client-facing solutions, ranging from back-office trade confirmation workflow platforms, to intraday margin forecasting tools via a client portal. 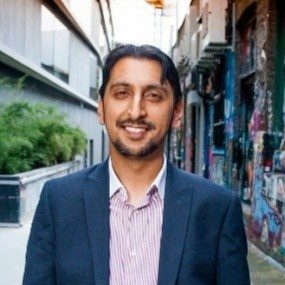 During this time Arif has held a variety of roles ranging from a software developer through to business analyst and more recently a programme manager. As a programme manager Arif has successfully run multi-million, multi-year programmes in the most complex environments, managing teams of over 60 staff across the SDLC, and delivering robust solutions for business sponsors and global operational users to time and to budget. Arif has a passion for the Agile delivery of projects and has a particular interest in applying AI, ML and RPA to solve real business problems. Arif has an MSci in Computer Science from University College London, specialising in Artificial Intelligence and Machine Learning. Arif is a certified Managing Successful Programmes (MSP) Practitioner. Dr. Edgar Meij is a team lead and senior data scientist at Bloomberg. He holds a PhD in computer science from the University of Amsterdam and has an extensive track record in artificial intelligence, information retrieval, natural language processing, and machine learning. Before joining Bloomberg he worked at Yahoo Labs on all aspects related to entities in the context of web search. At Bloomberg he leads the team that is responsible for leveraging knowledge graph technology to drive advanced financial insights. As more and more companies start to have a data science function we also learn the best way to organize and drive the development of data driven products. This talk will teach you some of the best practices from this based on experience from the field. You will hear about what works and what most definitely will lead to failure. Some of the key points touched upon in this talk will be agile development, automation of data science, the value of consumption in production. We are entering a new industrial revolution, the data revolution. With it comes changes that will make life easier for most but harder for some. We will automate many task by using big data analytics and this will create new opportunities for all of mankind. I am a part of this revolution and my role is to make sure the people I work for will get the best possible experience they can have. Abhijit is bringing machine intelligence to life at the Lloyds Banking Group. His focus is on combining machine and human intelligence with data to fundamentally change the way the Bank does business and create new opportunities for customers and colleagues. Additionally, he is setting up an Academy in the Lloyds Banking Group to democratise AI skills across 75,000+ employees to empower them to succeed in the data driven future. Also, Abhijit sits on the Expert Advisory Panel of All Party Parliamentary Committee on Artificial Intelligence. Earlier, at McKinsey & Company, Abhijit engaged with leaders from large enterprises across Europe, Asia, and North America to help them take strategic and investment decisions, build new digital business models, and drive above-market growth. He led a venture with a leading digital corporation to develop analytical offerings for energy and investment sectors. 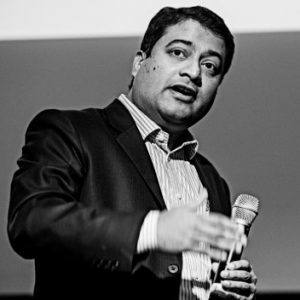 Previously, at HCL Technologies, Abhijit built and led tech-enabled businesses in Europe and Asia. 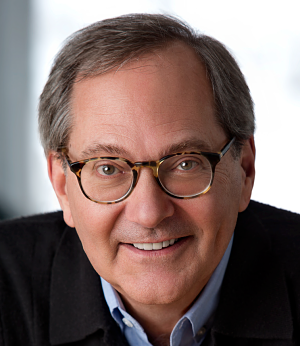 He helped large corporations and governments embrace technology to improve performance. This included setting up technical support infrastructure with over 3,000 people for the UK-wide broadband launch by BT. An engineer by training, Abhijit has an MBA from London Business School with exchange at MIT Sloan. 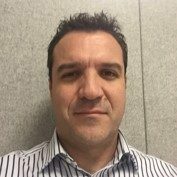 Antonio has 18 years of experience in financial services across 4 countries focused in technology, change management and data. 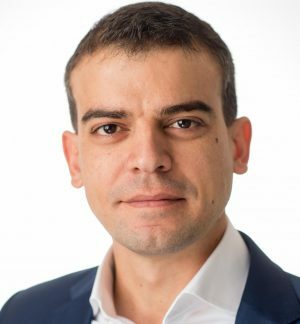 After years in leadership roles in the integration of the banks acquired by Santander, Antonio now drives the transformation of Santander UK beyond a digital organisation and into a data-driven organisation through the creation of a collaborative self service environment for analytics and data science that empowers teams in all areas and at all levels to get close to customers and be innovative.